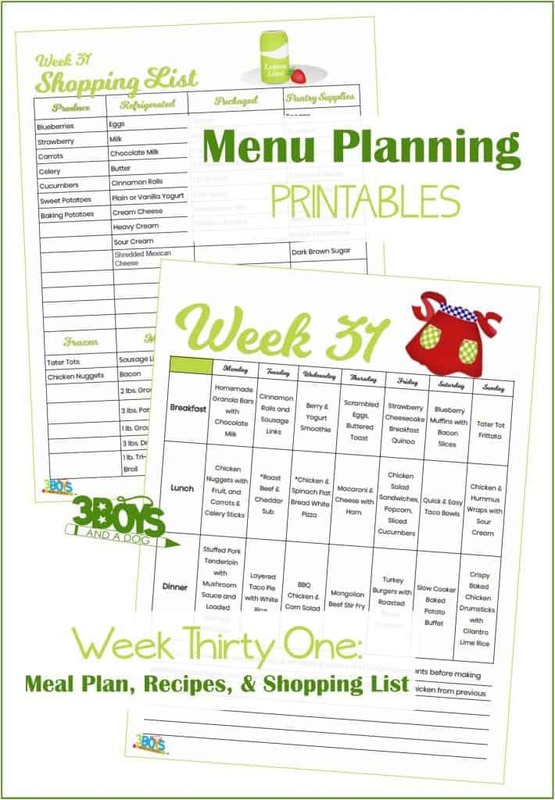 Some of my blank menu planning printables are the most popular posts on this site. 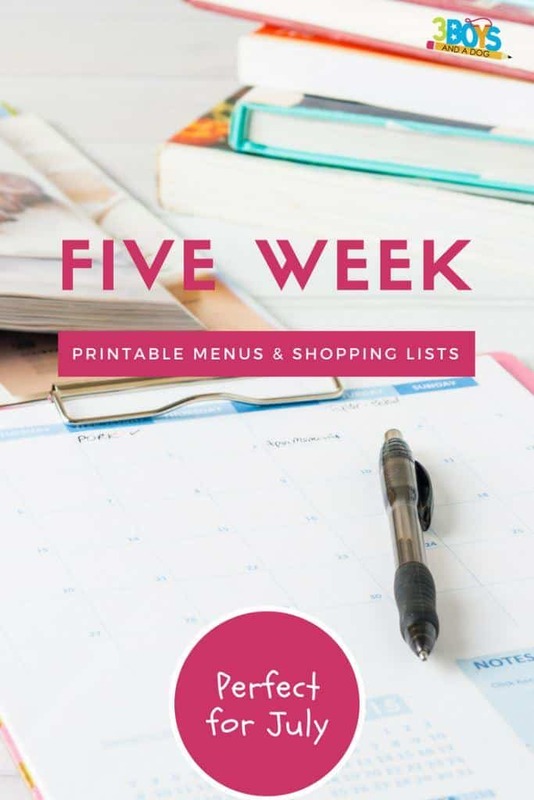 This week, in addition to using up items from the fridge and pantry, I am rounding up a list of my favorite homemaking printables! Week 5 of the month. 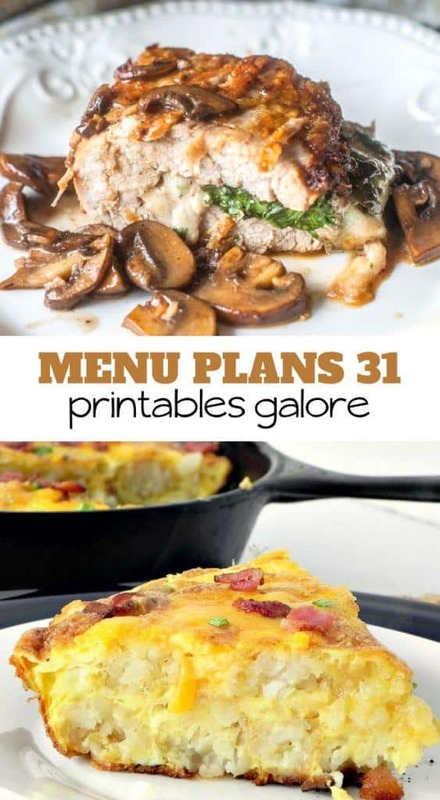 Work to use up any remaining pantry and fridge items before shopping for more. Wednesday – *Chicken & Spinach French Bread White Pizza, using a loaf of French bread sliced in half lengthwise, spread with alfredo sauce, top with Chicken, Spinach & Mozzarella. Bake at 375 15 min, or until cheese is browned. 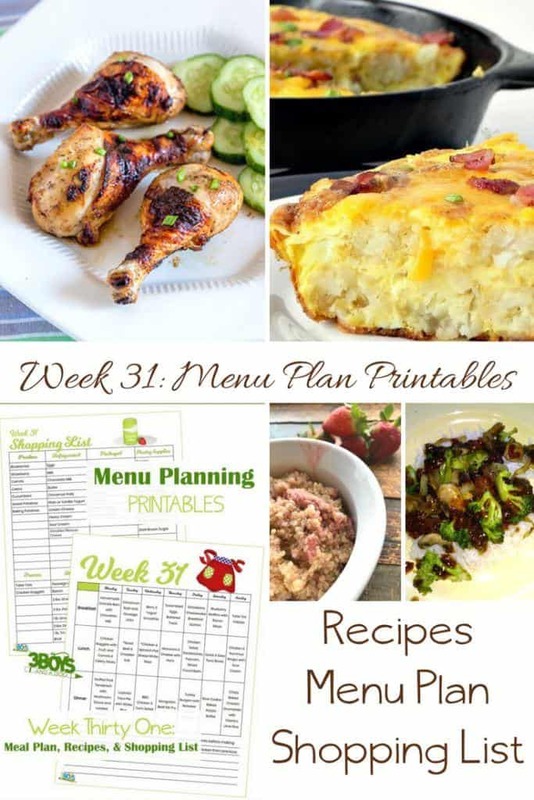 Wednesday – BBQ Chicken & Corn Salad, using on-hand lettuces, any corn you have left from the month, canned, fresh or frozen, and then chop leftover chicken, (if you dont’ have any, buy a rotisserie chicken and use the breast) drizzle with BBQ sauce and ranch dressing. Saturday – Slow Cooker Baked Potato, Buffet wrap potatoes in foil with a drizzle of olive oil, sprinkle of salt and pepper. Place in Slow Cooker for 4-6 hours on high. Using any bits of leftovers, build a baked potato buffet.